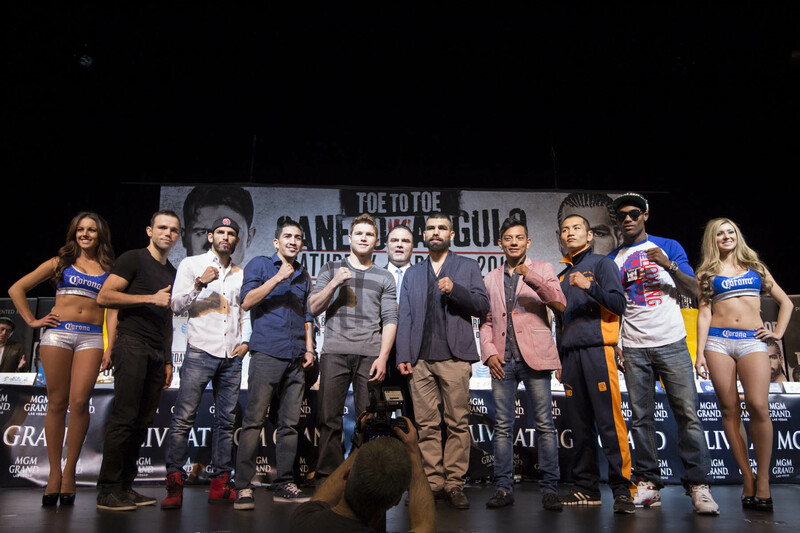 LAS VEGAS – The fighters and their camps stayed classy and soft-spoken yet confident during Thursday’s final press conference for “TOE TO TOE: Canelo vs. Angulo” taking place this Saturday, March 8, live on SHOWTIME PPV® (9 p.m. ET/6 p.m. PT) from MGM Grand Garden Arena. 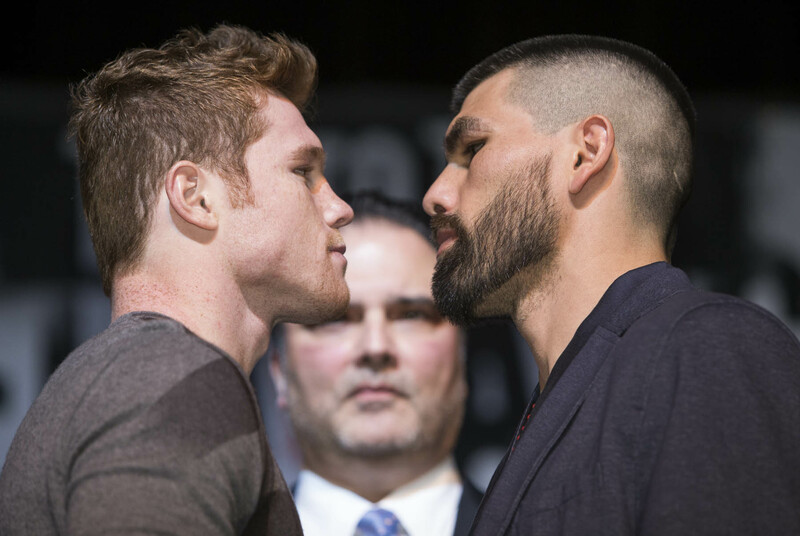 In Saturday’s 12-round super welterweight main event, popular Mexican boxing superstar and former world champion Canelo Alvarez (42-1-1, 30 KOs) faces game and aggressive, upset-minded countryman Alfredo “El Perro” Angulo (22-3, 18 KOs). Exciting, unbeaten two-division world champion and current WBC Super Bantamweight Champion Leo “Terremoto” Santa Cruz (26-0-1, 15 KOs) will defend his 122-pound belt against former three-time world champion Cristian “El Diamante” Mijares (48-7-2, 22 KOs) in the co-main event. 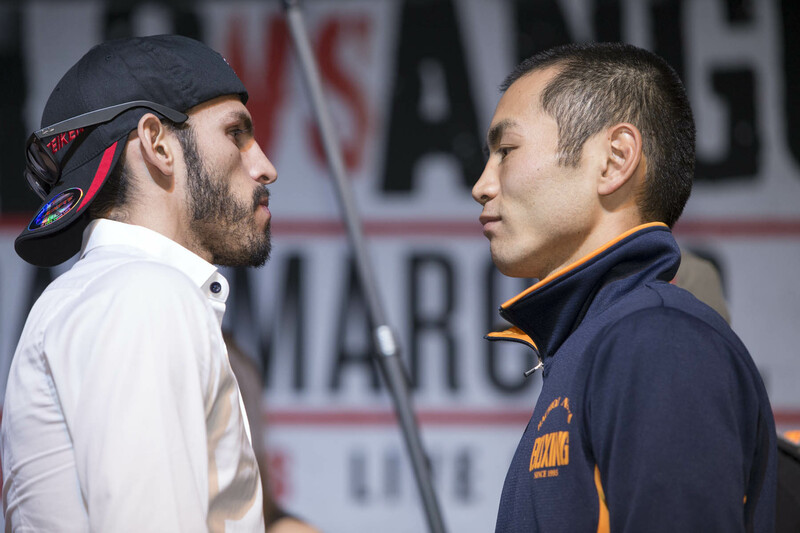 In other PPV matches, former two-time world champion Jorge “Niño de Oro” Linares (35-3, 23 KOs) takes on offensive-minded Japanese contender Nihito Arakawa (24-3-1, 16 KOs) in a 10-round lightweight scrap and IBF Junior Middleweight World Champion Carlos Molina (22-5-2, 6 KOs) is scheduled to defend his 154-pound crown against undefeated Jermall Charlo (17-0, 13 KOs). Richard Schaefer, CEO of Golden Boy Promotions and the emcee at the final press conference streamed live at sports.sho.com, alluded to the uncertainty of Molina-Charlo and announced that, if necessary, it would be replaced with a 135-pound matchup betweenRicardo Alvarez (23-2-3, 13 KOs), an older brother of Canelo, and Sergio “Yeyo” Thompson (28-3, 26 KOs). Tickets for the event promoted by Golden Boy Promotions are on sale and priced at $600, $400, $200 and $100, not including applicable service charges and taxes, with a total ticket limit of 10 per person. To charge by phone with a major credit card, call Ticketmaster at (800) 745-3000. Tickets also are available at www.mgmgrand.com or www.ticketmaster.com. Movie theater tickets are available at participating theater box offices and online atwww.FathomEvents.com. “There isn’t much more to say – I’m ready to go. Boxing is about style and I think with his [Angulo’s] style and my style it will be a war. We are going to give you a war. I always say talk is cheap so we’ll see what happens on Saturday night. “It is a big responsibility to headline on pay-per-view. It shows the end result of everything I’ve done in the gym. “I’m going to give it my best. I’m going to get the victory. “Angulo is a very dangerous opponent. He doesn’t mind getting hit as long as he can hit back. It’s a fight that can change in one punch on either side. “I’m calm and tranquil because that’s part of the preparation for this fight. “I know I’m strong, I know what I have to do. I will follow my game plan and come out with the win. 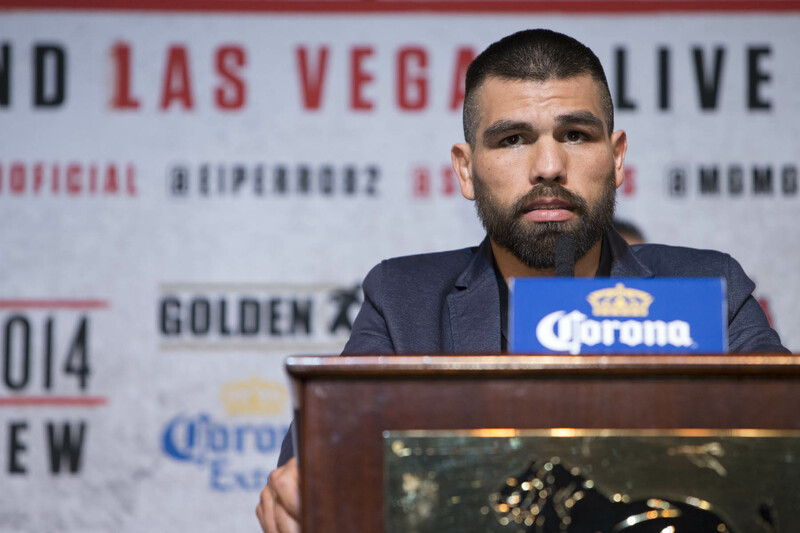 “I want to thank everybody – Golden Boy Promotions, SHOWTIME, MGM Grand, all those working on this event, my team – for this opportunity and for their faith in me. I’m ready. “I’ve been working very hard for this fight, and I could not be in better condition. “This is my first time on pay-per-view and to be the co-main event is very exciting. Thanks to everyone who got me to this place. “I just feel 100 percent ready. I know Mijares is a great fighter. I watched him fight when I was growing up and getting my career started so I know this is going to be the hardest fight of my career. But that’s why we trained really hard – to give a great fight to all the fans and to make the fight of the night. 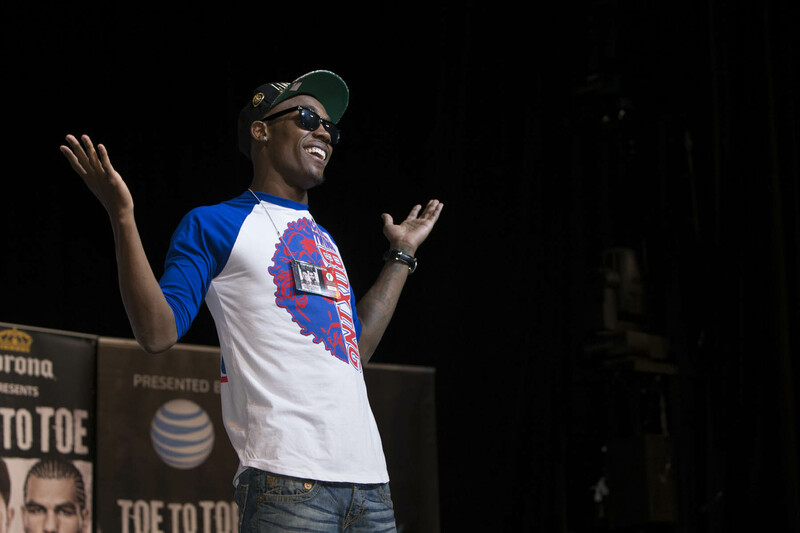 “I’m 17-0, 23-years-old and fighting on the big stage at MGM. I definitely feel I belong with Canelo and all of the other young fighters. I’ve been on weight for a month. “Obviously, I want the fight to happen. If it doesn’t, I will fall short of my goal. I know I’m ready, my team is ready, and the city of Houston is ready for me to bring home that world title. I’m going to continue to train and think like it is happening. “I’m sure I will be very, very disappointed if it doesn’t [happen]. When I was first told that something was up with Molina, I thought they were playing with me, figuring here I am, on the eve of being on boxing’s biggest stage, there’s no way we don’t fight. But it was not a joke. “There seems to be a shift going on. More and more fighters, trainers and media members are starting to say, ‘You know what, I’m changing my opinion. 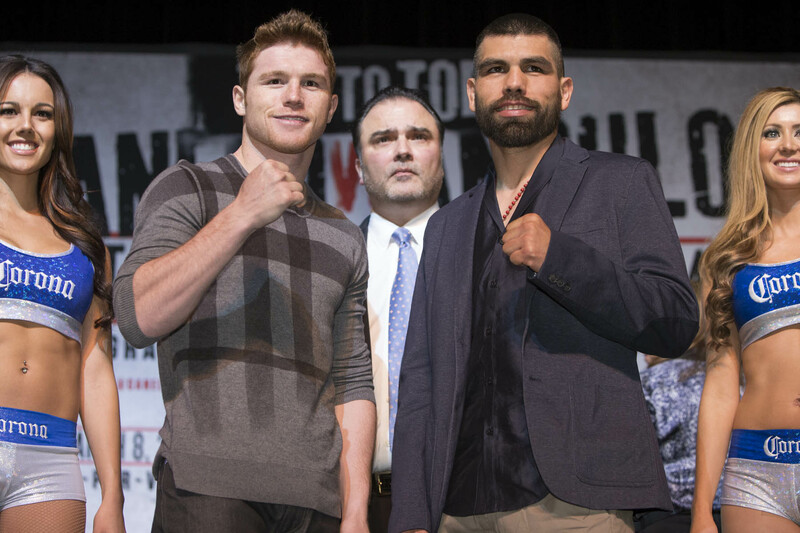 I think Angulo is going to knock Canelo out.’ And I think it is this kind of sentiment that shows you what we want to do – we want to put on great fights. Of course, each guy wants to win and they know how important it is for them, their fans and Mexico. 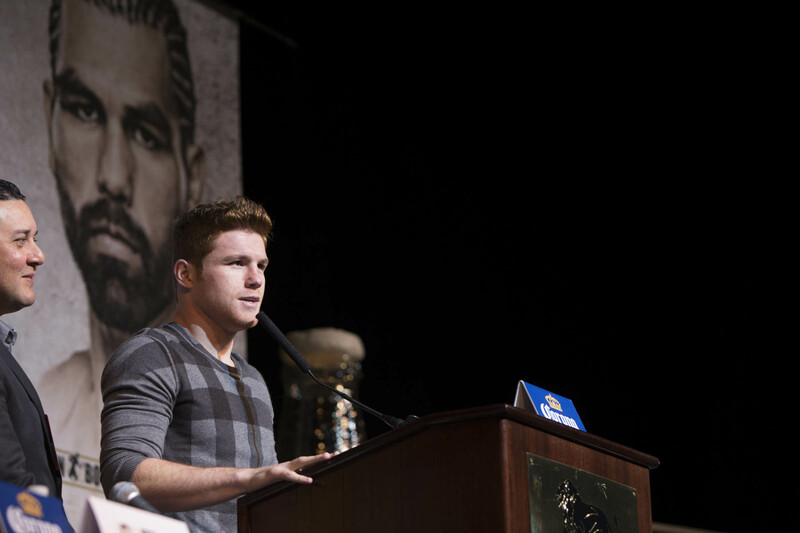 Both Canelo and Angulo don’t need any extra motivation. They know it’s a very dangerous fight. 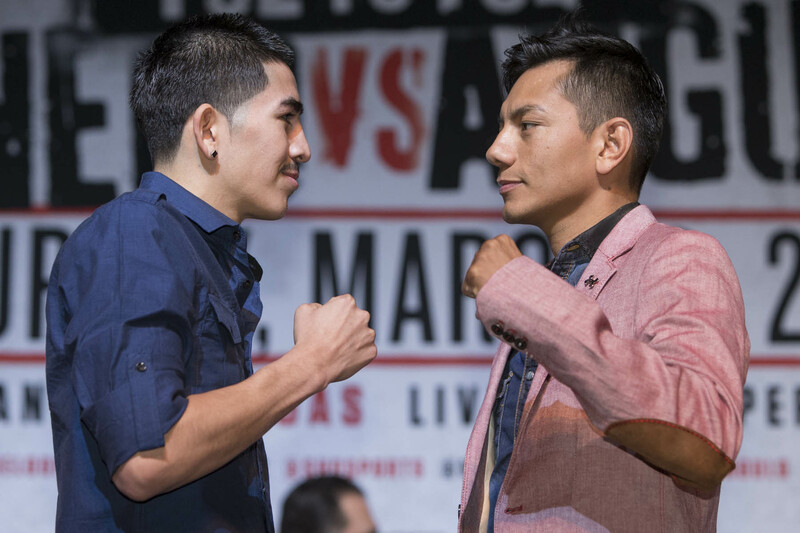 “Talking about warriors and TOE TO TOE action, it doesn’t get any better than the fight between Leo Santa Cruz and Cristian Mijares. Leo is one of the most exciting fighters in boxing and Mijares is a former world champ who wants the belt back. Neither fighter is afraid of anyone. “If I could watch Nihito Arakawa every day I would. He is the definition of a modern-day gladiator. He fights with hearts, guys and he is everything a fighter should be. We’re all looking forward to watching him and Linares in what should be a war. “Over the last year, SHOWTIME and SHOWTIME PPV have become the premier destination for big-time boxing. SHOWTIME has given boxing fans more live fights, more replays of classic fights and more total hours of boxing programming – and we’ve done it with state of the art technology like the 4K cameras and super slo-mo replays and social media integrations, things our competitors aren’t doing. We are committing more resources to boxing programming than anyone else in the sport today – and the viewers have responded enthusiastically, as our audience share has increased by leaps and bounds.